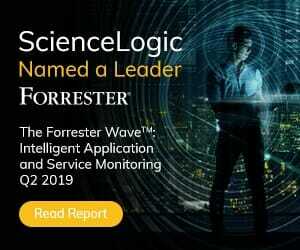 For MSPs eager to get started with a differentiated Managed Azure service, there’s ScienceLogic Azure JumpStart, a consultative program offered by ScienceLogic and Microsoft. It’s hard to be a managed service provider (MSP) right now. You’re dealing with growing IT complexity from containers and DevOps, while cloud adoption is taking place at a rapid clip and potentially eroding your available market. With so much tumult in the MSP industry, separating yourself from the competition can be difficult – but it isn’t impossible. 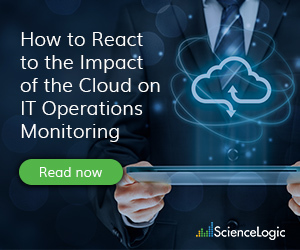 For MSPs partnering with Microsoft under their Cloud Solution Provider (CSP) program, ScienceLogic is now working with Microsoft’s Data Center Optimization team to help CSPs define, build, and go to market with new Managed Azure services. Managed Azure offers CSPs an intriguing point of differentiation by enabling them to become more of a trusted advisor and less of a third-party IT management fixture. By using and offering Managed Azure, you’re enabling the client to maximize the value of the cloud – and its resources – while also highlighting and displaying your unique value proposition; a true win-win. But migrating to the cloud has its difficulties, especially around monitoring. 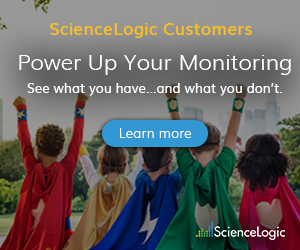 To make Azure monitoring as easy as possible, ScienceLogic has developed a comprehensive monitoring capability – ScienceLogic SL1 – which is already in production with MSPs around the world. SL1 offers deep Azure monitoring with real-time dashboards plus live dependency maps that show customers the interconnections between compute and storage in their Azure account. Get a JumpStart with Your Microsoft Azure Service! The Azure JumpStart program includes a promotional offer for 200 free Azure device monitoring licenses in the first 12 months. Codero, an infrastructure and technology enabler dedicated to providing exceptional customer service, leveraged the ScienceLogic JumpStart program and SL1 to deliver new levels of detailed, real-time Azure visualization and automation for their internal operations teams and Codero customers. “As demand for cloud service grows, we’ve seen a corresponding growth in demand for real-time visibility into Azure from our customers as well,” said John Martis, CEO of Codero. Our MSP JumpStart program is designed with you in mind and helps you create differentiated managed services, with assistance for service definitions, buildout and go to market help. To get started today, email our JumpStart office at jumpstart@sciencelogic.com to discuss how we can help you define and build your Managed Azure service.